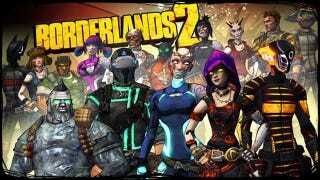 Here's a look at the new costumization options available in Borderlands 2. Each set is available for 80 Microsoft Points or $0.99 / £0.75 / 0,99€ for the Xbox 360 and PS3/PC, respectively (separate from the Season Pass). You can find a shot of the "Madness" set below.